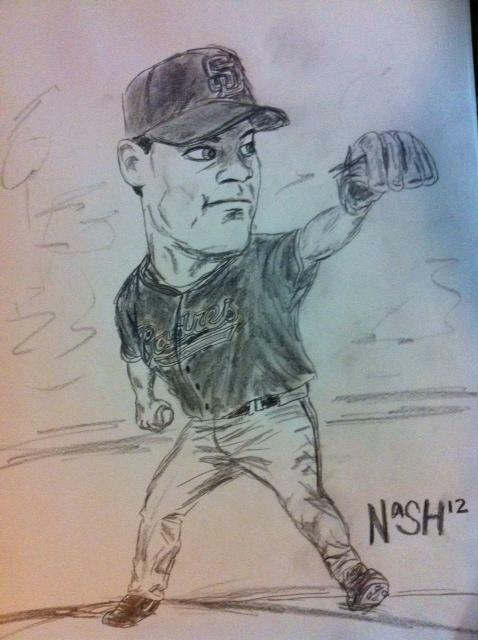 It’s my pleasure to introduce lobster nation to Jeremy Nash. 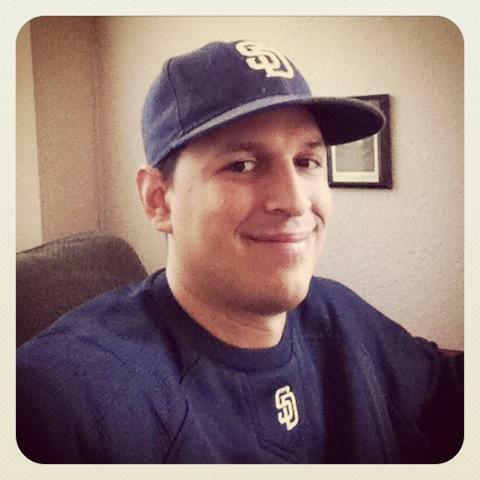 Jeremy is a rare breed: an avid San Diego Padres fan living in Northern California. He’s married and the father of two girls. He is an all-around good dude that also writes for the Friarhood at times. Jeremy, a lobster that I follow on twitter (@Jeremy_Nash) quickly caught my attention when I realized that he is an incredible artist. 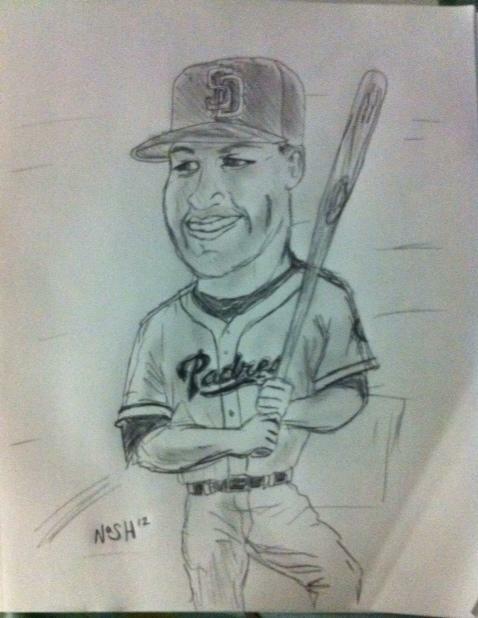 So much so, that I think all lobsters should check out his Padres artwork. 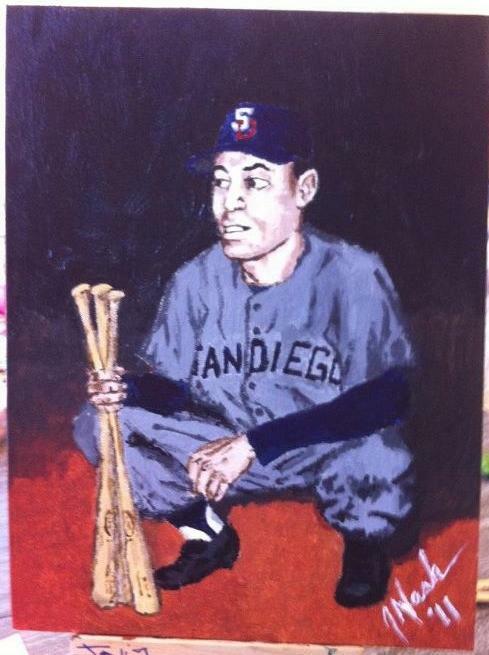 He does paintings and sketches of Padres past and present. I asked him to send me his artwork, with a brief description of a few of them. Be sure to check the captions around the art, as they are Jeremy’s descriptions. 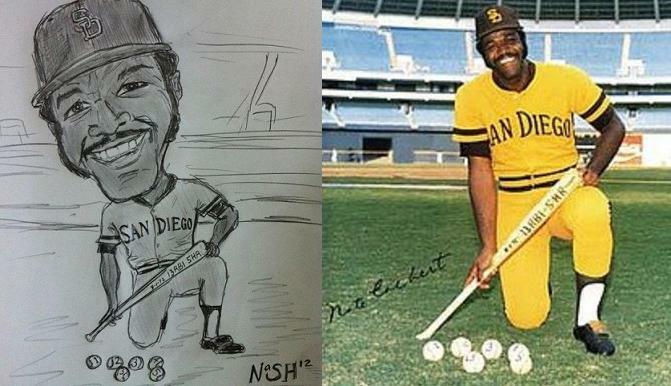 His art works of Padres players spans over seven decades, from Ted Williams on the PCL Padres, to Nate Cobert, to the newest of Padres, Yonder Alonso and Carlos Quentin. Art no particular order… starting with the paintings, followed up with his sketches. 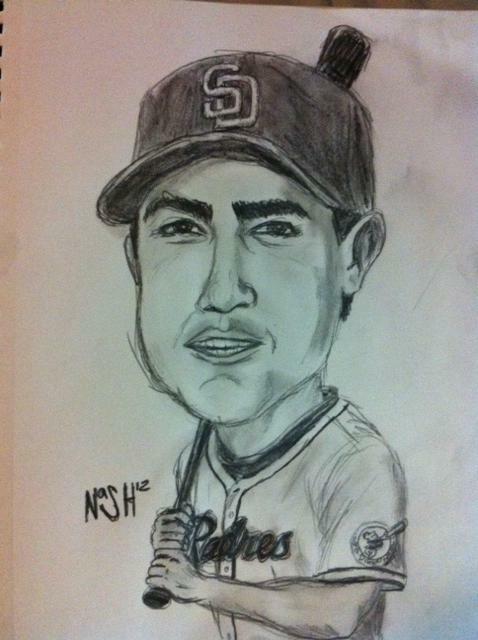 "The Benito Santiago I did for me. 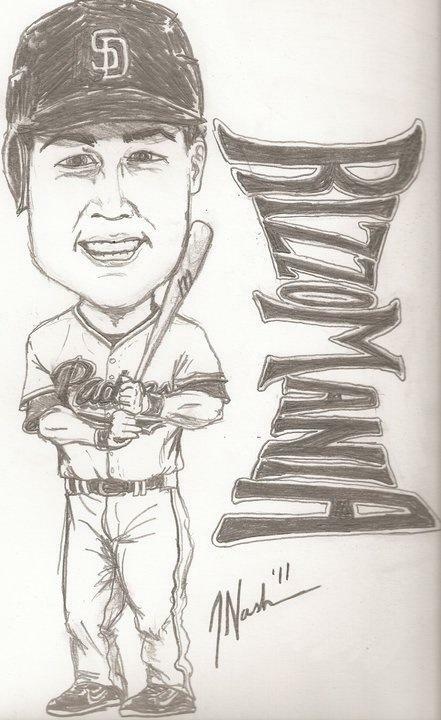 I believe it's from a photo from spring training circa 1988. He was a favorite of mine when I was young. 10 y/o at the time." "Denorfia was an evolution type piece. I love Norf. 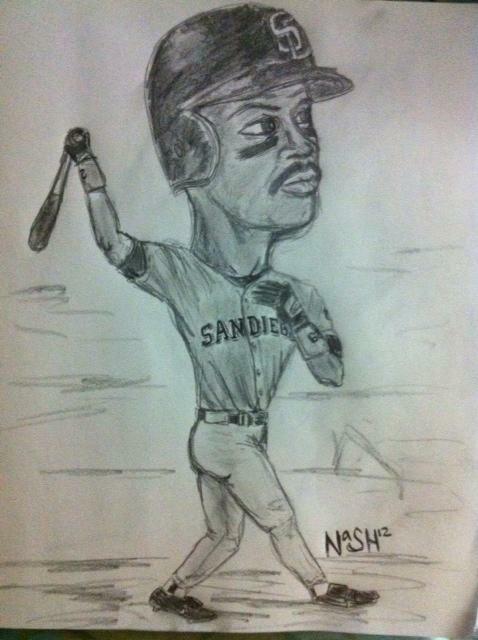 Probably my favorite Padre on current roster. 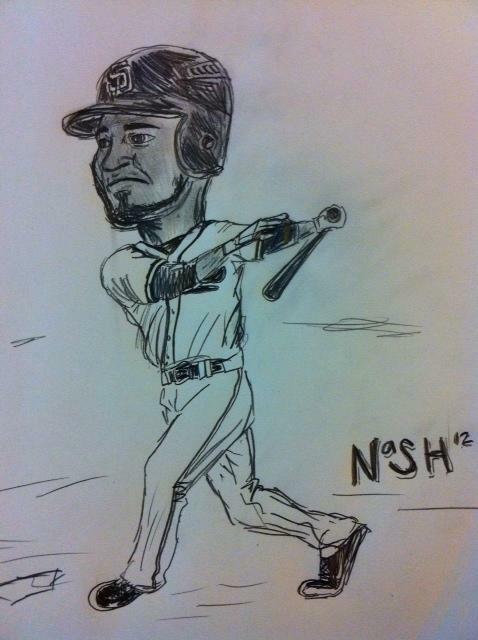 I drew this after his nickname his teammates gave him: Inspector Gadget. Dallas Latos saw it and asked me if she could get a copy of it to give to The Denorfia's for Xmas. 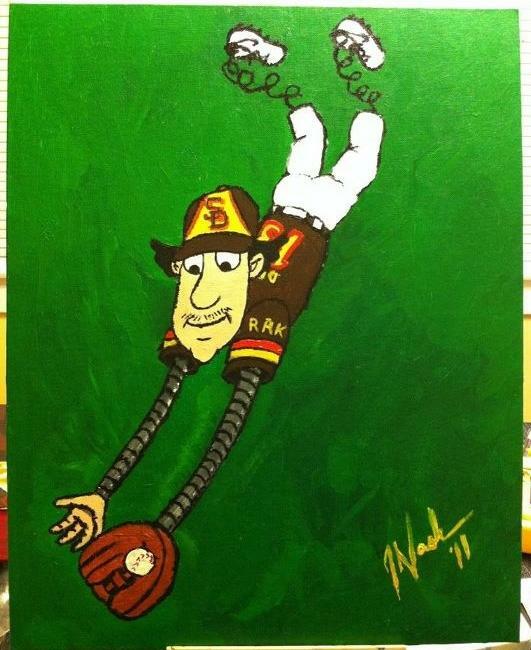 Since my daughter ended up drawing her name on the original, I painted the second one (brown uniform) for her & Mat. 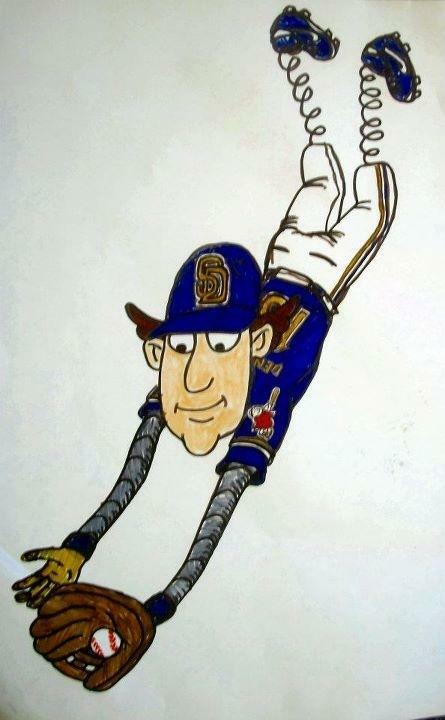 It's titled "Go-Go Gadget Dive!" 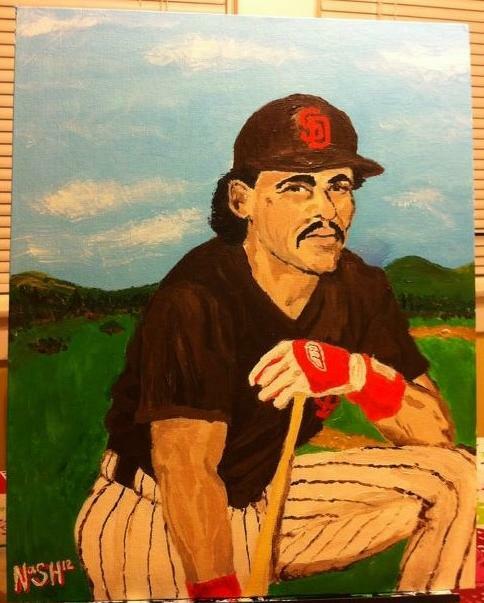 They gifted it to the Denorfias this Christmas"
"I did a piece of Rudy Regalado for my father this Christmas. The picture was of him circa 1958. 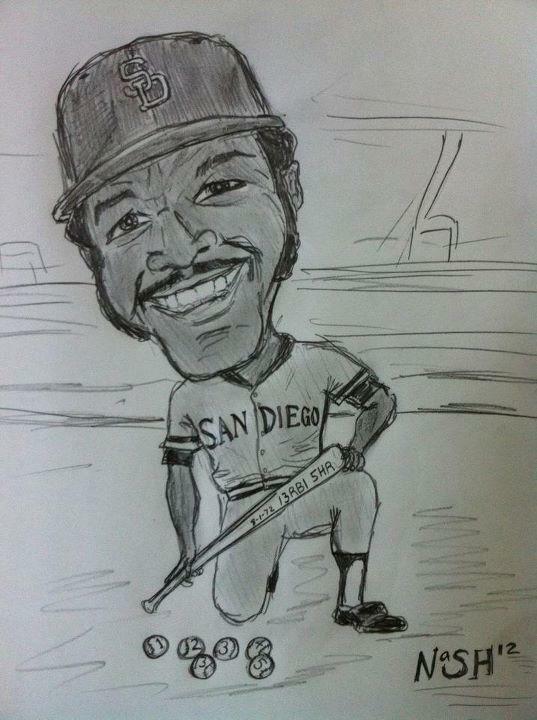 He was my father's favorite Padre when he watched him play in Lane Field that year when he was 8 yrs old"
If you don’t understand the humor of this fantastic sketch, please go read this post at Avenging Jack Murphy about the O-Dogg and his twitter etiquette. 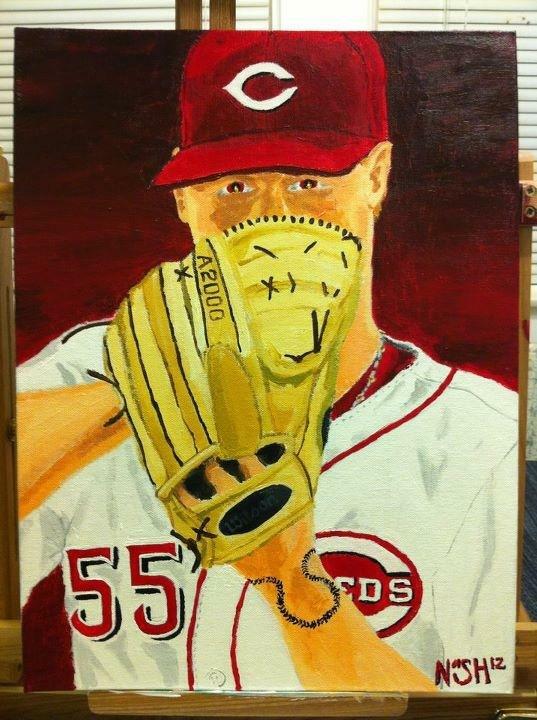 As an extra added bonus for the non-Padre fan… and a favor to our good friend, Dallas Latos, here’s a painting that Jeremy did of Mat Latos after he was traded to the Reds. 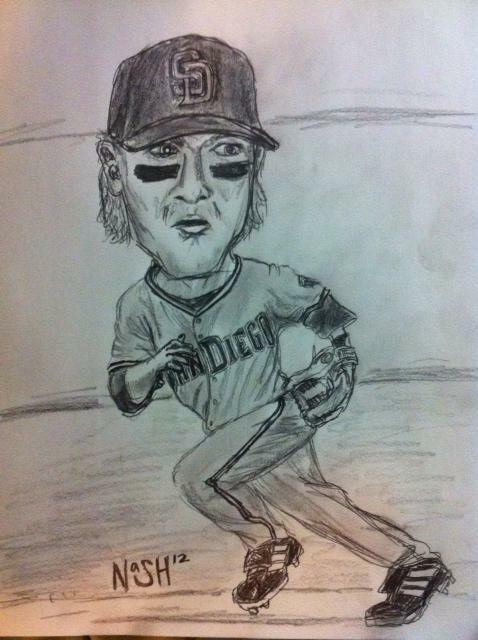 "The final one of Mat Latos was an idea I've had for months, then the Padres traded him. I loved the way he'd look just above his glove, incredibly focused before firing a pitch home. 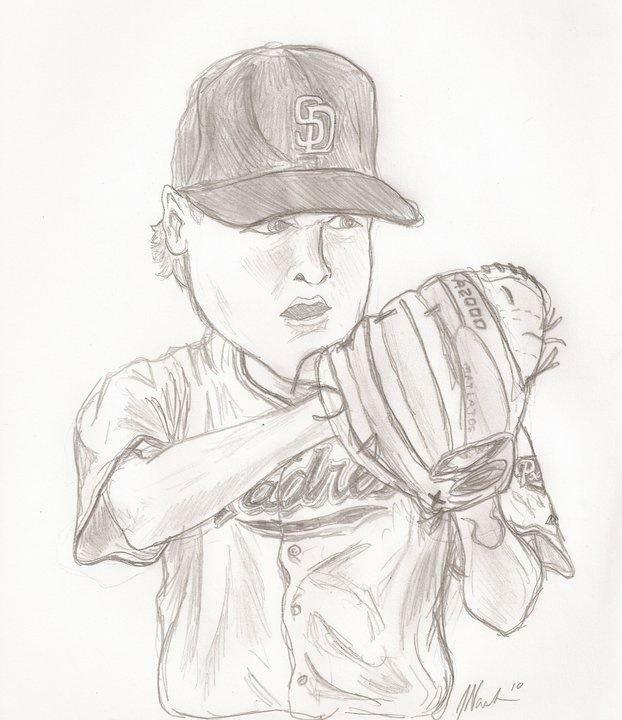 After my bitterness wore off over the Padres trading him, I painted it for Dallas Latos. 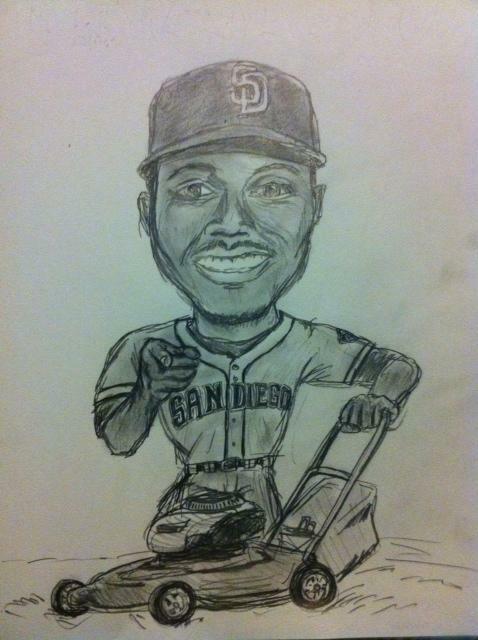 We grew up in the same small town (though I'm a decade older) and she had Mat sign a picture my daughter drew of him last spring training, then met her at Petco Park on our vacation down south last season. So it's my thanks to all she'd done for us." 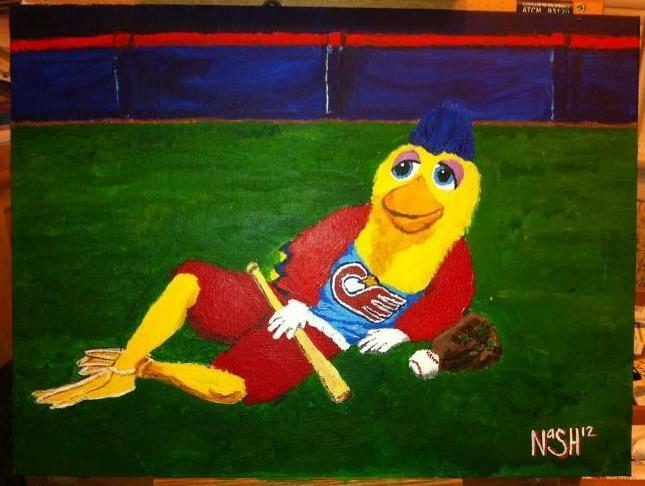 All photos of artwork are courtesy of Jeremy Nash, stud artist, and lobster extraordinaire. 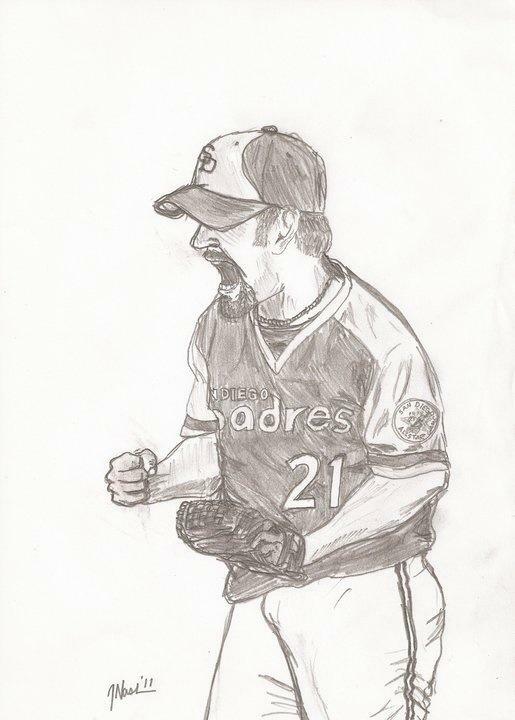 This entry was posted in ART, Baseball, MLB and tagged dallas latos, Jake Peavy, jeremy nash, jeremy nash artwork, Mat Latos, nate colbert, Padres, padres artwork, padres paintings, padres sketches, San Diego Padres, Ted Williams, yonder alonso. Bookmark the permalink.